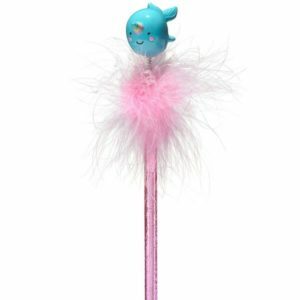 View cart “Narwhal Pen” has been added to your cart. 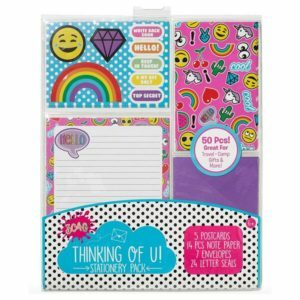 Perfect pack for writing to friends and family – includes 14 sheets of notepaper, 7 envelopes, 24 sticker seals, and 5 postcards. 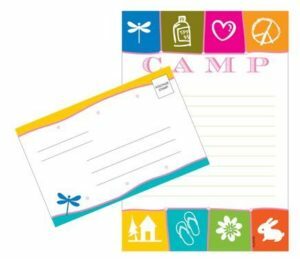 This fold and seal kit has all kinds of great 'camp things' pictured: a dragonfly, a bunny, flip flops, a flower and more, plus plenty of room for your camper to write all about her camp experiences. Comes with 8 fold and seal cards and 8 clear seals. 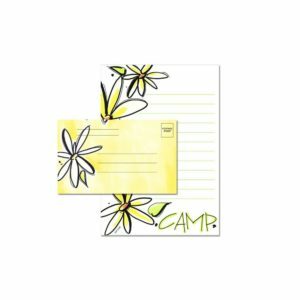 This stationery will make writing fun for your camper. 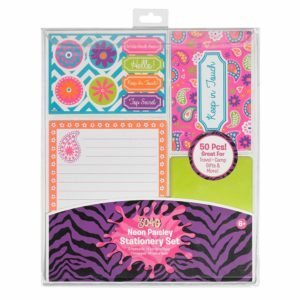 Includes 8 sheets of stationery and 8 fun seals. Hi from Camp! 8 fold & seal cards with 8 clear seals. 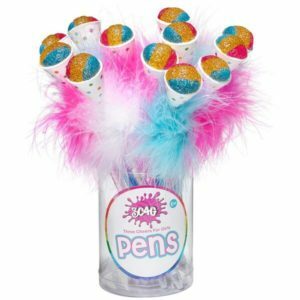 Great colors and so easy to pop in the mail. 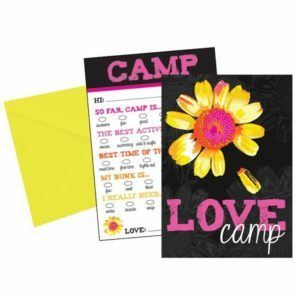 A border across the top reads 'love camp!' 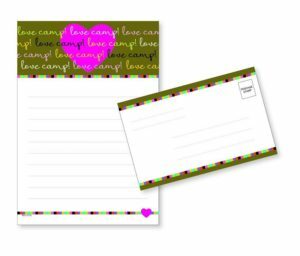 over and over, with a pink heart on a green background, and lines below for your camper to write in all the things she loves about camp! 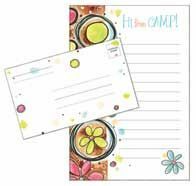 The letter folds up to reveal space for sender/recipient addresses–no envelope necessary! Pack of 8. 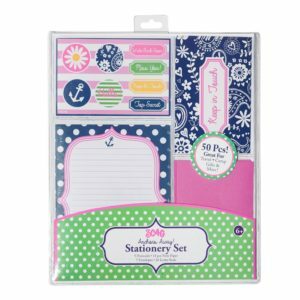 This great stationery kit includes 6 sheets and envelopes, 4 postcards & 6 stickers. 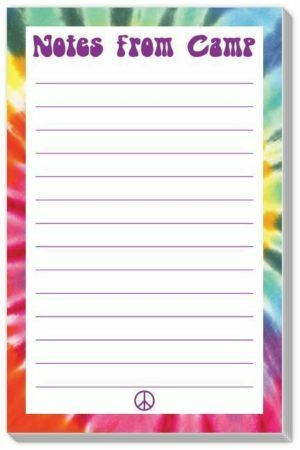 A great way to keep in touch this summer.